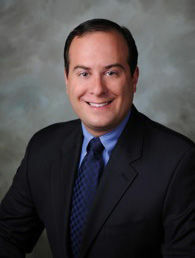 Michigan attorney Joshua Ben is a graduate of The Ohio State University and Chicago-Kent College of Law. He was a member of Sigma Alpha Mu while attending The Ohio State University. He was admitted to practice in the State of Michigan in 1999. He is admitted to practice law in the Eastern District and Western District of the U.S. District Court. He is a member of the Oakland County Bar Association and the Detroit Bar Association. He has been a member of the State Bar of Michigan family law section for many years. He also has been a member of the State Bar of Michigan criminal law section and CDAM. He is a member of the Michigan Association for Justice. He has not been disciplined by the State Bar of Michigan. Please contact Michigan attorney Joshua L. Ben for a free initial consultation about your case. He will meet with you personally and will fully dedicate himself to achieving the best possible outcome of your case. Please review the rest of our website and feel free to schedule a free confidential consultation to learn more about how Allan W. Ben P.C. can help you by calling us at 1-866-540-0677 or filling out the intake form on our Contact Us page. While our office is in Bingham Farms, Michigan, we work with people in the Greater Detroit Metropolitan area, including Oakland County, Wayne County, Macomb County, Livingston County, Monroe County, Genesee County, Washtenaw County and other areas throughout Michigan.